This bottle design grabbed my attention if I’m honest. It’s a nice looking beer, 4.7% from a 500ml bottle. The bottle is slightly green and this gives the beer a lighter look than the dark amber poured product. It’s got a nice head, and pretty grainy aroma. 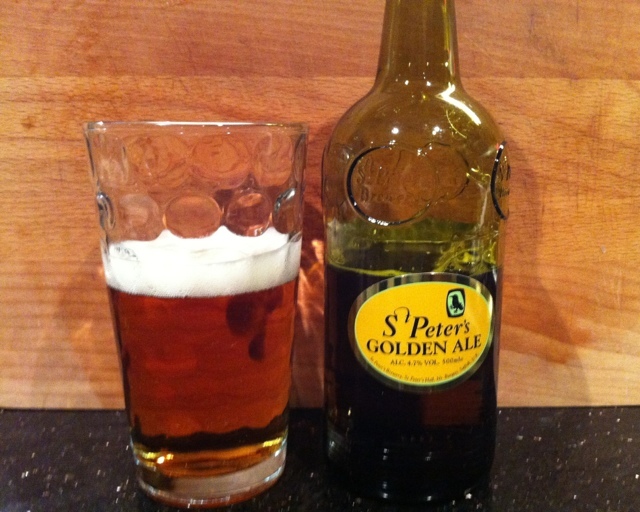 It’s quite strong and, if I’m a little honest, a bit overpowering until you’ve had a few mouthfuls to get used to it. There’s also a little bit of sweetness in there, a bit like cinder toffee. It’s a pleasant enough beer but not in the top ten of mine I don’t think. And onto one of my all time favourites. 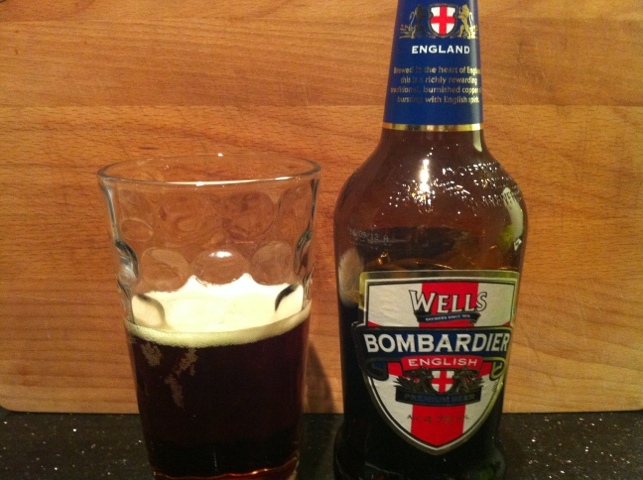 A simple, English beer. It’s got very very subtle flavours so won’t be overpowering for the novice ale drinker. A bit bitter, but if I may be so bold, a perfect little number. Not much else to say about it other than go and grab a few! Not only the beer is great, but now Rik Mayal has appeared in the adverts. 4.7% in a 500ml bottle. Blimey! This little 330ml 6.6% bottle packs quite a punch! This beer has been aged in oak barrels which I think used to carry whisky. As a result you get a massive whisky aftertaste. Infact it’s like you dropped a shot of it into the beer. You get nice oaky depth as you would expect with some nice vanilla tones. 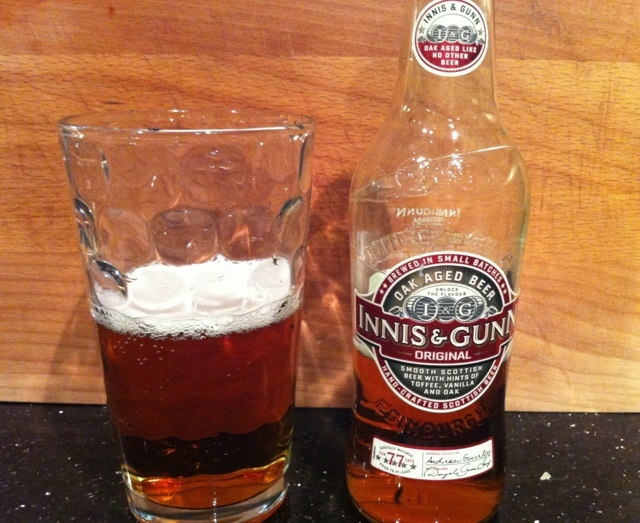 I certainly couldn’t drink too many of these, they have a huge flavour and it’s a little overpowering if I’m honest. So, a little powerhouse of a beer; a bit too much for me though. I went to a wedding reception and this was the only ale, bottled behind the bar. I recognised the bottle but thought it was brewed in New Zealand. Perhaps I saw it out there once, who knows. 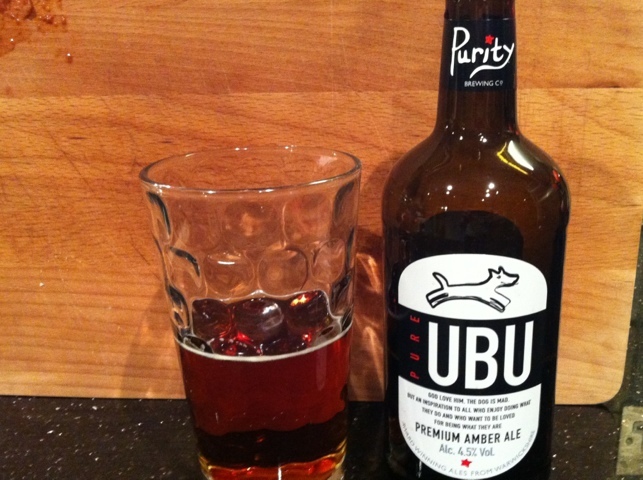 But fabulous to say its almost local, coming from the Purity brewery in Warwickshire. Anyway, it’s a nice golden colour and a slight head. I’m struggling to spot the flavours here though. It’s a bloody nice pint with a lot of depth, but I can’t work out what is going on in there. A bit fruity but nothing standing out for me. It’s simple, a bit bitter but easy going. I think if the mass produced lagers were off, a lager drinker could drink this all night. It’s simple. Lovely, but simple. A bit like me. Happy new year folks! Been a bit slack on the reviews but normal service will be resumed now.